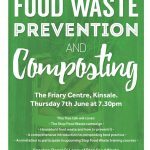 Transition Town Kinsale is a voluntary community initiative working to help make the transition from a dependency on fossil fuel to a low carbon future. 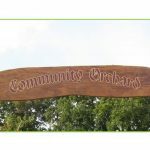 Our vision is a resilient, self-reliant and sustainable town. What began in Kinsale in 2005 has now become a global movement. Rob Hopkins, teacher of Permaculture at Kinsale Further Education College, produced the ground breaking Kinsale Energy Descent Action Plan with his students, exploring ways in which the community could prepare for Peak Oil. One of his students, Louise Rooney, set about developing the Transition Towns concept resulting in the historic decision by Kinsale Town Council to adopt the plan. Rob moved to the UK where he established the second Transition Town in Totnes which has become an inspiring focal point of the movement. – Get actively involved in volunteering, organising or coordinating events for fund raising, awareness raising, celebrating, education, skill sharing, workshops, film nights, food growing, meitheals, etc. 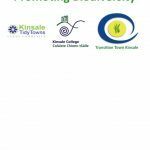 Transition Town Kinsale is a voluntary community initiative working to help make the transition from a dependency on fossil fuel to a low carbon future.